Not that I ever need an excuse for chocolate, but what good timing! 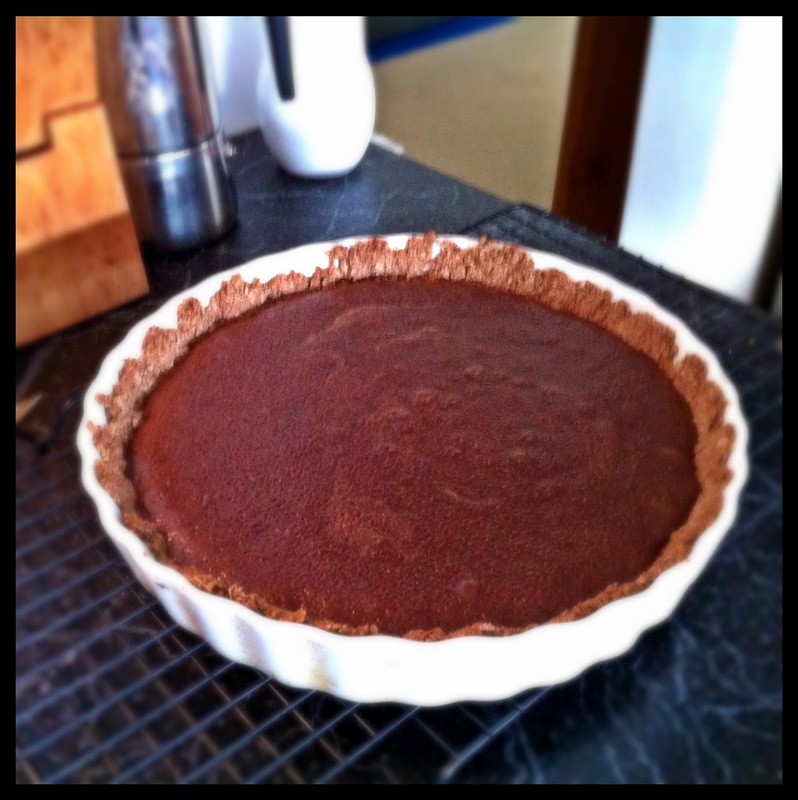 Here’s a super simple chocolate tart, just in time for the day of luuuurve. Full disclosure: this recipe is very similar to the gluten free key-lime pie recipe I posted last week, but there is a great reason for this. The recipe is so TASTY. 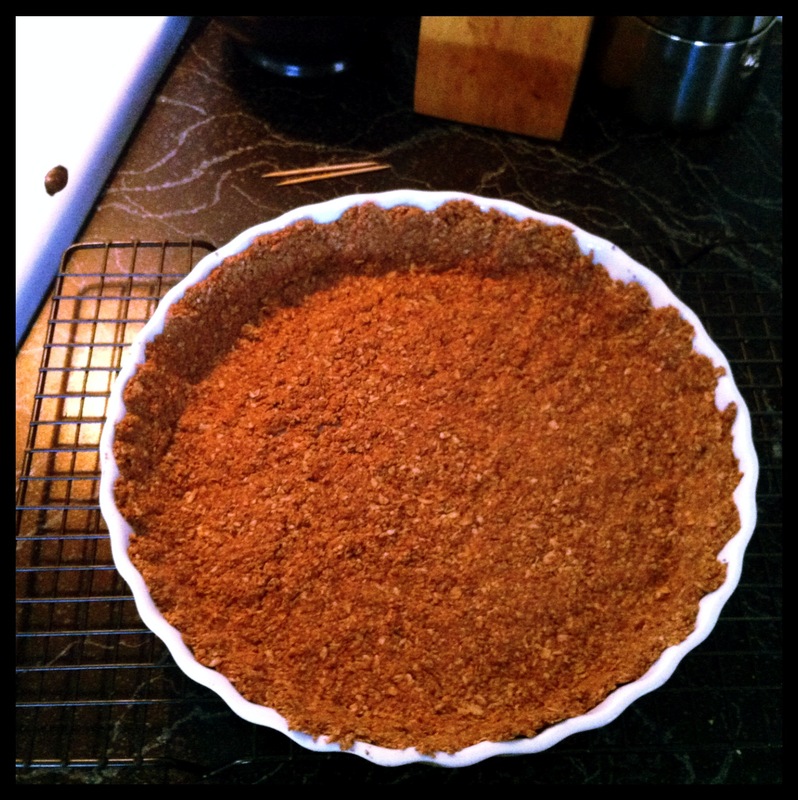 With a few modifications, I came up with this simple tart that did not last long in my house. I may have had something to do with that. Combine all ingredients in a food processor, and blend until the consistency of graham-cracker crumbs. The mixture should be sticking together – if not, adjust the quantity of butter as needed. I’m sure you could also make this a vegan crust by using oil instead. Press gently into your pie pan, and bake at 350 F for 10 minutes. Leave to cool. Combine the egg yolks, sweetened condensed milk and vanilla in a bowl – whisk until smooth. 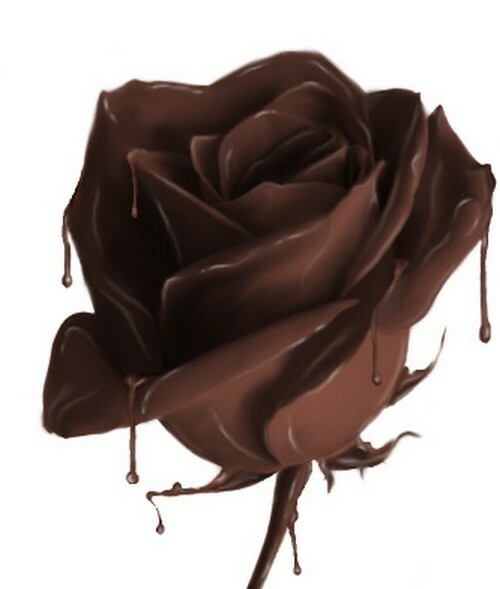 Melt the butter and chocolate in a double boiler or a thick bottomed pan, being very careful not to let the butter boil or the chocolate burn or stick. If using a pan, stir constantly. When the chocolate mixture is smooth and glossy, whisk into the other filling ingredients. Pour the chocolate filling into the cooled pie crust, and bake at 350 F for 15 minutes. Whip the egg whites until soft peaks form, then begin gradually adding the sugar one heaping tablespoon at a time until the mixture becomes glossy and thick. Continue whipping, adding in the ground coffee. Whisk the vanilla through at the very end. The mixture will take on a slightly darker colour and texture from the coffee. On a tray lined with baking paper, spoon the meringue mixture into large dollops – somewhere between the size of an apricot and an apple. Bake for 50 minutes at 120 F, and then turn the oven off – leave the meringues in the oven until cool (or for at least an hour) – this should prevent them from cracking. I forgot to take a picture of the meringues, but they disappeared so fast my photo-op chances were minuscule anyway. Happy Cupid-Hallmark-Rose Day!